What Do Sea Turtles Have to Do with Hospitality? 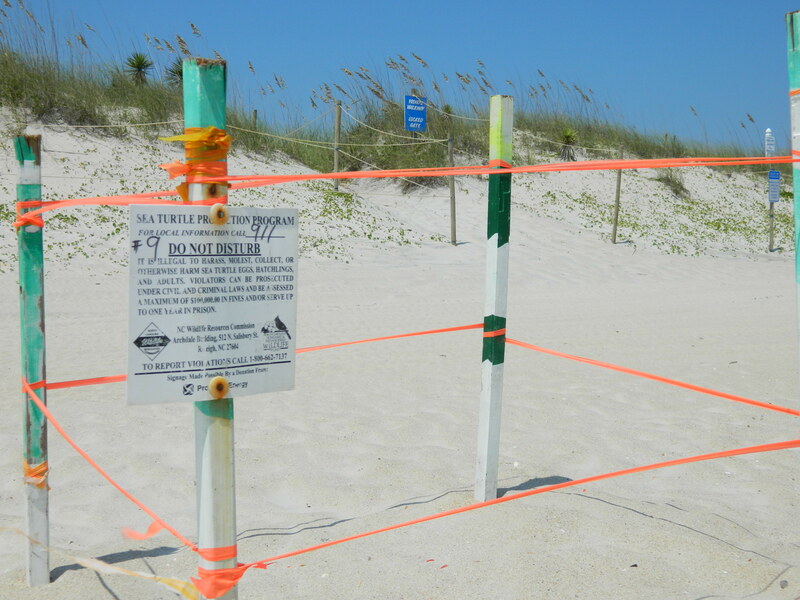 Sea turtle nest #9 in front of the Cabana condominiums in Carolina Beach. Anyone on the beach early Sunday morning today would have seen the turtle’s trek back to the sea after laying her eggs on the beach at Carolina Beach, North Carolina. I call them the Sea Turtle Girls from the Pleasure Island Sea Turtle Project. They come out early and carefully bury the eggs deep enough to be safe from human and natural predators. Toward the end of the 60 days, the Sea Turtle Watch crew moves in with a pavilion, flashlights, and lots of refreshments. Men, women, children, working folks and retired folks, all volunteer to keep watch until the birth. There are several sites like this one up and down the coast on Pleasure Island. This particular nest is a bit late this year. A birth of a baby is always a big event and it’s no different for the sea turtles. At the end of 60 days, there will be a party like you can’t believe as the eggs hatch and the babies are carefully guided back to sea. Don’t you wish you could be there? Volunteers are dedicated to the protection of all sea turtle species. Go to their website to read about this heartwarming and worthwhile work on Pleasure Island in North Carolina. 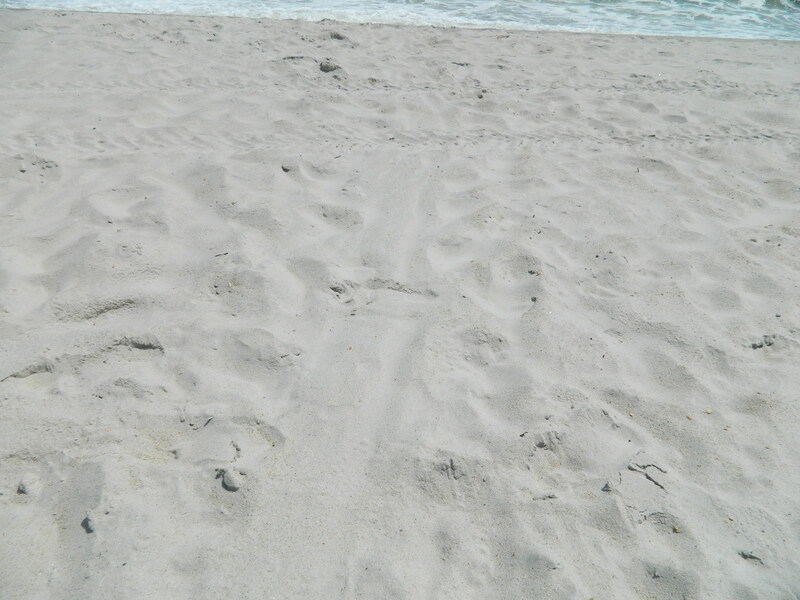 The mama turtle leaves a trail back to the sea after laying her eggs. Tracks also showed something was following her, like a fox. 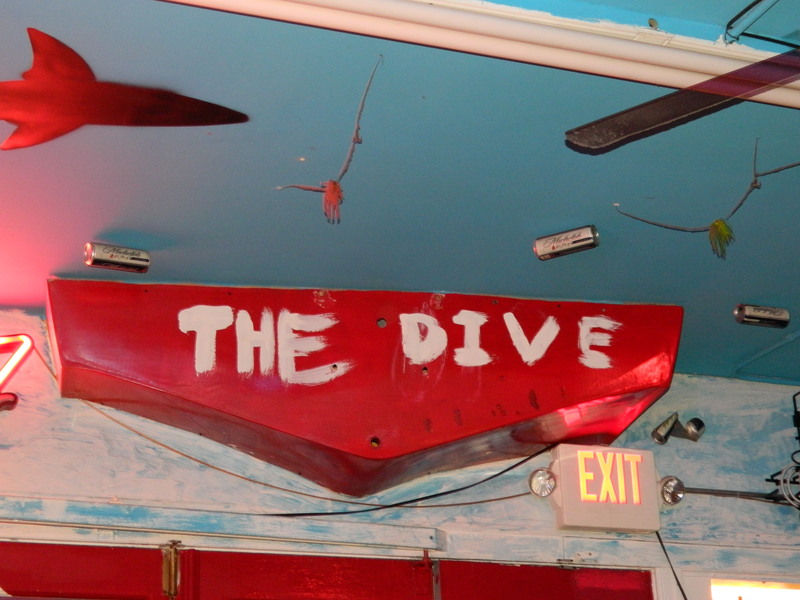 Would you go to a place called The Dive? I mean, really? This Pleasure Island mainstay has pool tables, bar, sports on TV and a few tables. Despite its name, Bill, Patrick, Peggy, Charlie and I decided to give it a try. Talk about some awesome food! The menu is limited but, again, they had the ubiquitous fish taco on the menu. This time it was made with mahi-mahi, one of my favorites. It was excellent and would please most palates even if you’re not a fish lover. The fresh grilled mahi-mahi was in a soft taco shell with shredded cheddar cheese, avocado, red cabbage, onions. The cheese masks too much of the lovely fish for me, but that is why non-fish lovers would love these tacos. But I would definitely order them again and hold the cheese. 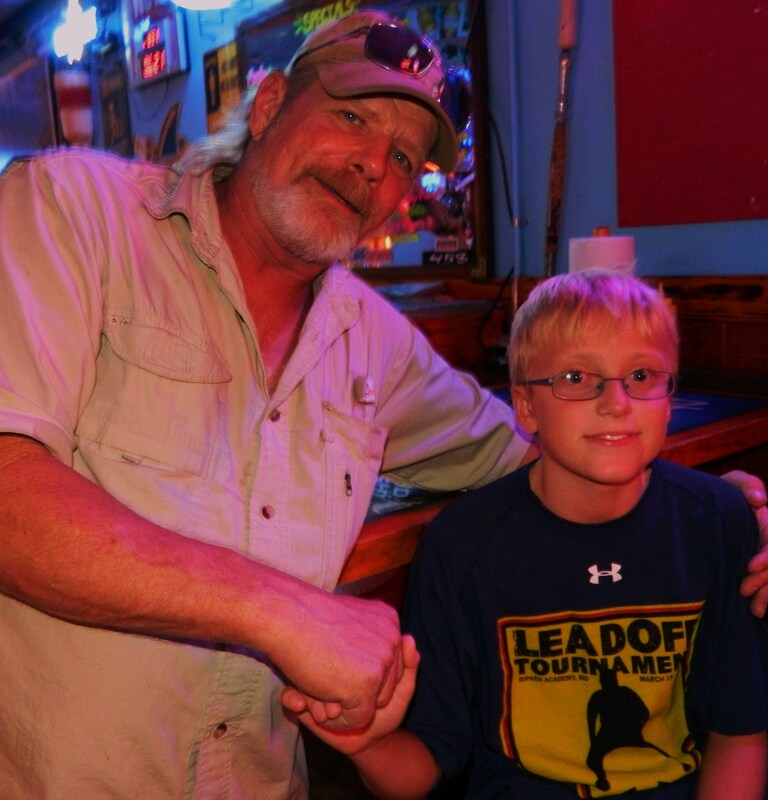 A visit to The Dive is not complete unless Tommy visits your table and makes you his family. The bartender and waitress kept asking, “Is Tommy bothering you?” Of course not! Tommy finally gets kicked out and we add a drink to our tab for Tommy the next time he comes in. The “Grilled Mahi Tacos” were made with cilantro, lime, cabbage, and pico de gallo. Another wonderful taste treat with more mahi-mahi. The catch must be plentiful this month. You can spot the Sea Witch from afar with its blue roof. 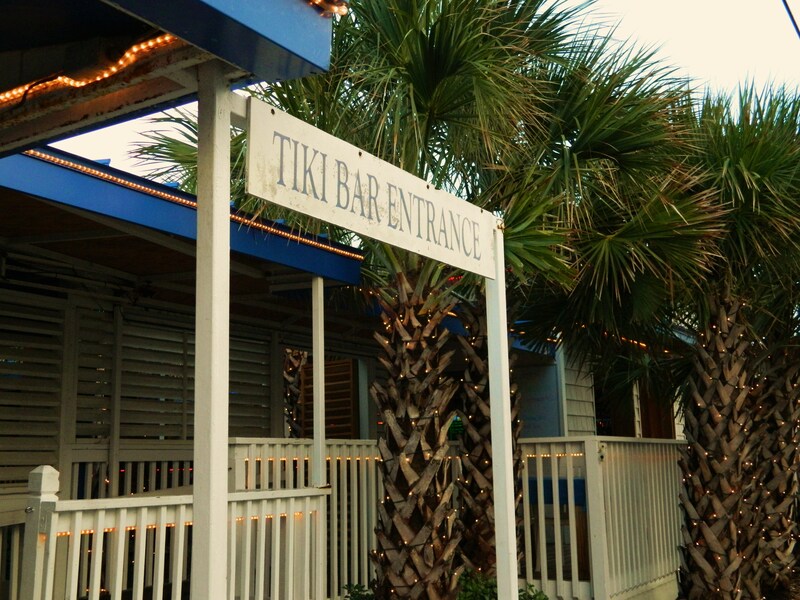 The tiki bar is a local hot spot and the outdoor atmosphere is tropical with Jimmy Buffet music. The intimate inside seating with hardwood floors and white, bead-board paneling, looks like a coastal cottage. Growing up part of my life in south Florida, we had all kinds of tropical fruit trees. My mom would find a way to make lemonade out of lemons. We had a Calamondin orange tree with bright, tangerine-colored petite oranges. Their appealing exterior masked their bitter insides. Wikipedia says the fruit is used for household and medicinal uses like as a hair conditioner, body deodorant, ink stain remover on fabrics, for treating insect bites, for curing skin problems like acne, as a cough remedy, etc. However, mom found a way to turn this bitter fruit into a delicate and sweet preserve for toasted English muffins. Such was the way of the mango. Our neighbors had a mango tree and shared the bounty with us. But none of us liked the pulpy fruit so mom chopped it up, added some onions, lemon juice, sometimes sweet peppers or chopped Florida oranges from our other orange tree, and some kind of seasoning. She put it on chicken, pork chops, and we dipped shrimp and chips in it. So…you know where this is heading. I adapted that sauce for my fish tacos. Mango salsa: Mix mangos, scallions, avocados, cilantro, lime juice, salt and pepper. Set aside. Season the fish with any type of seasoning you like (this is where you improvise to your own taste buds). I’ve used blackened seasoning, Old Bay, salt, pepper, cayenne. Drizzle some olive oil over the fish to get ready to cook on the grill or a stove-top pan. Cook the fish about four minutes on each side for a total of 8-10 minutes (depending on thickness, this is only a gauge). Spoon fish into taco shells and top with mango salsa. Whew! This ends my fish-taco-eating spree! I’m moving on to other coastal culinary delights! 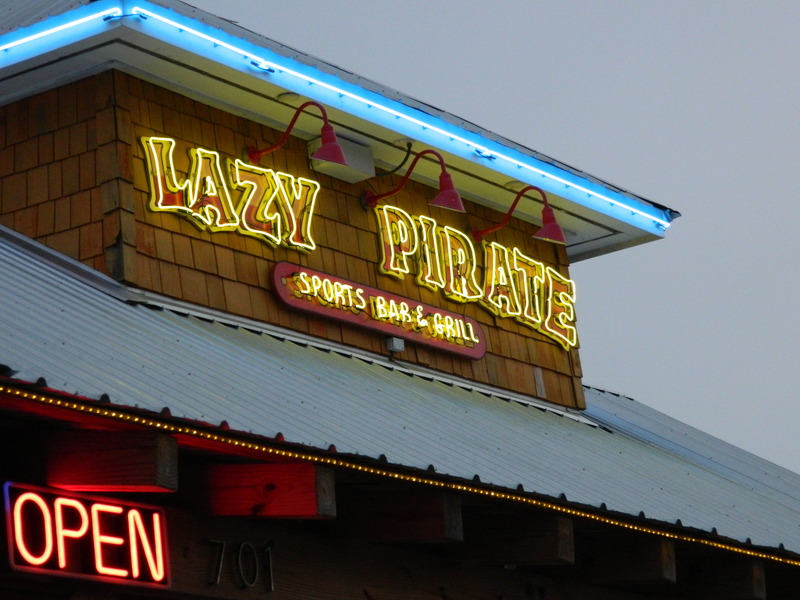 Dave Pierce owns The Lazy Pirate on Lake Park Boulevard in Carolina Beach, North Carolina. He also owns Slickers Raceway next to it where the kids can race go-karts while their parents sit on colorful Adirondacks on the front porch and enjoy some libation. Or, as Peggy and Charlie often do, have a beer and watch the traffic go by. We met Dave two years ago when he was building the restaurant and we toured the construction site. He was going to call his new restaurant the Lazy Parrot. After the place was built and the signs were up, he became aware of a trademark issue with the name. No problem for Dave, he just rearranged some letters here and there and the place became the Lazy Pirate. 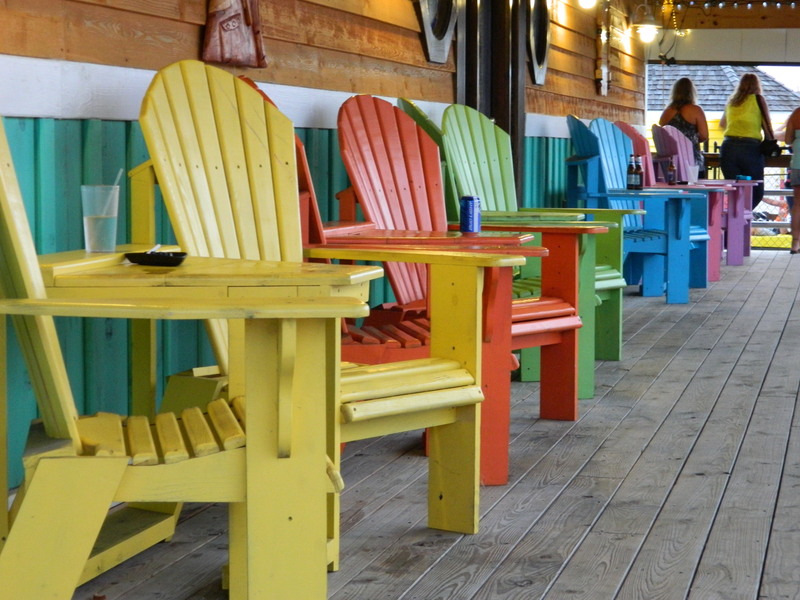 That’s the way they are here in Carolina Beach—real laid back and real adaptable. 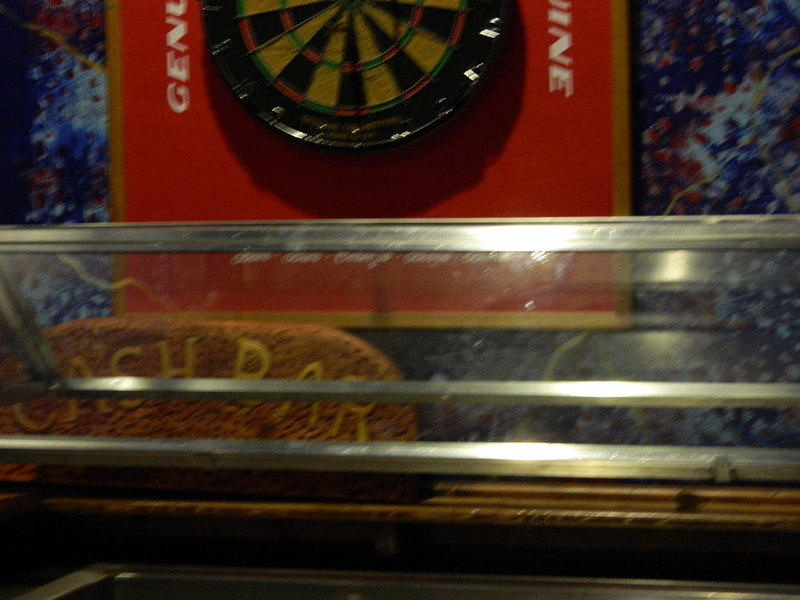 We stopped in for a bite the other night and lo and behold, I spotted a sneeze guard in the corner. They were rearranging the furniture for karaoke at 9 p.m. What’s the big deal about the sneeze guard? Read I’m a Sneeze Guard Heiress” in my first post. I digress. The decor is sports and games and fun. The tabletops are various games and one of their events is Texas Hold’em for Charity. In fact, The Lazy Pirate if often the site for local charity events. This town can thank Dave for his generosity and his good food! 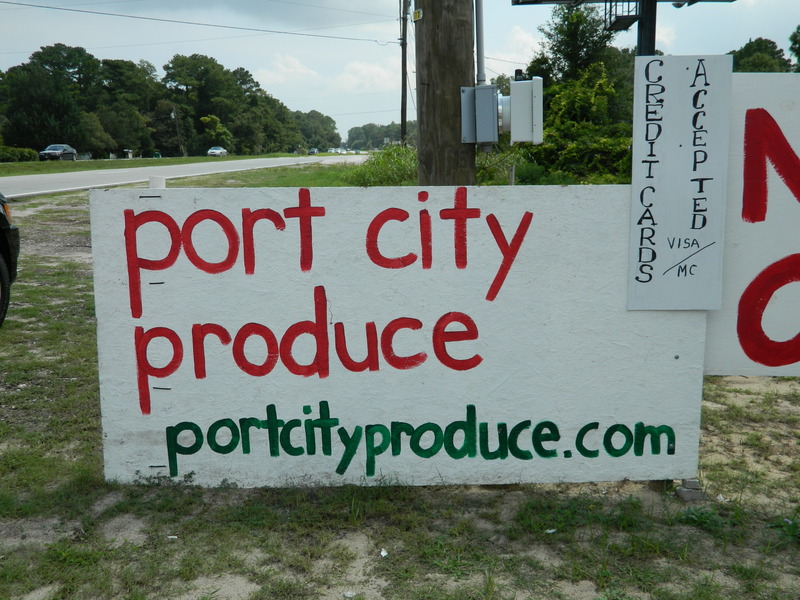 I stopped because of the name; I liked the sound of Port City Produce—not only the alliteration but it’s so Wilmington-sounding. I was traveling south from Wilmington, NC, to Pleasure Island (the island on the other side of Snow’s Cut Bridge) and here was this charming roadside stand at Monkey Junction. I’m also a firm believer in buying local and getting the freshest produce possible. What are those hanging plastic bags? I’m going to find a way to rig some up at my next outdoor picnic. 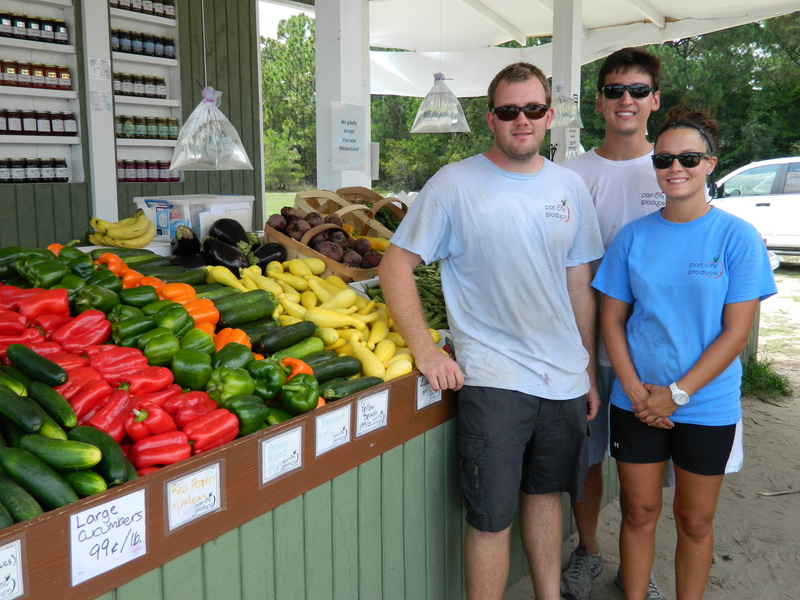 Owners Sven Wallin and Chris Hutchins, two “youngins” as they say in these parts, started Port City Produce wanting to offer fresh local produce to folks. They have another location on Market Street in downtown Wilmington, NC, a lovely antebellum city, a few miles north of this location. I talked with Andrew Cameron, a principal with Port City Produce, who said they were all graduates of Cape Fear Community College and Applachian State University and wanted to give this a go. Into their second year, the business is doing well. 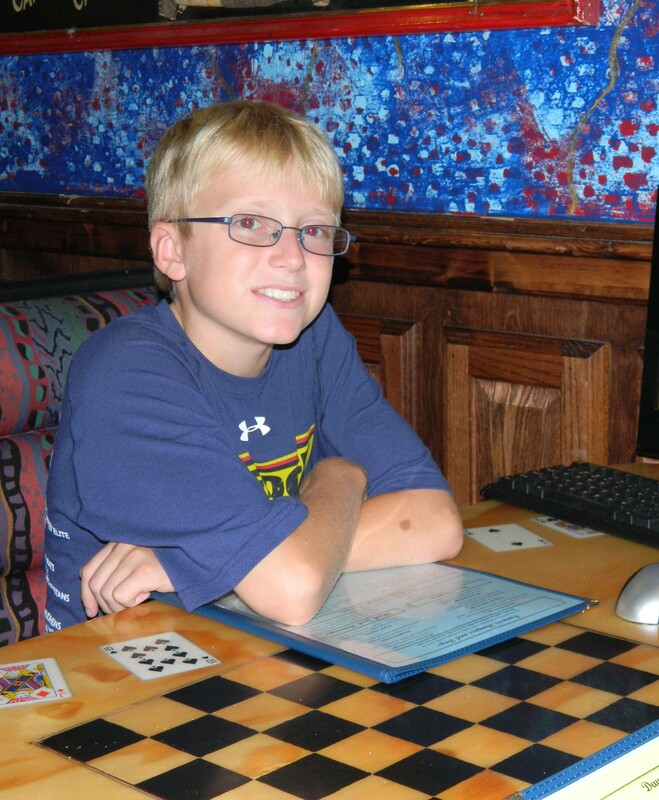 What I really love is how these young entrepreneurs chat it up with the customers. Their welcoming southern-boy drawl pulls you into their arena. They like to find out who you are and what made you stop. They even tried to get some of their customers in the photo with us. “We’re gonna be famous,” Andrew beamed. Sam helps them out at the register. She is a student at the local University of North Carolina-Wilmington majoring in exercise science. She is fit as a fiddle and pretty as a picture—she obviously eats what she sells. Port City Produce also carries a variety of jams, pickles and other jarred items (even chow chow!) from D’Vine Foods, Bellew’s Market, and Dutch Kettle. I picked up a jar of Triple Berry Spin Preserves made from a special blend of strawberries, blackberries and blueberries from North Carolina. Back home, I like to buy local and buy fresh so I can cook with the very best ingredients. Here at the beach, I’m not doing any cooking, but I’m buying fresh and local. In the middle of this blog, I got up from my computer and helped myself to a ripe, juicy peach. My keyboard is sticky with juice but boy was it good! 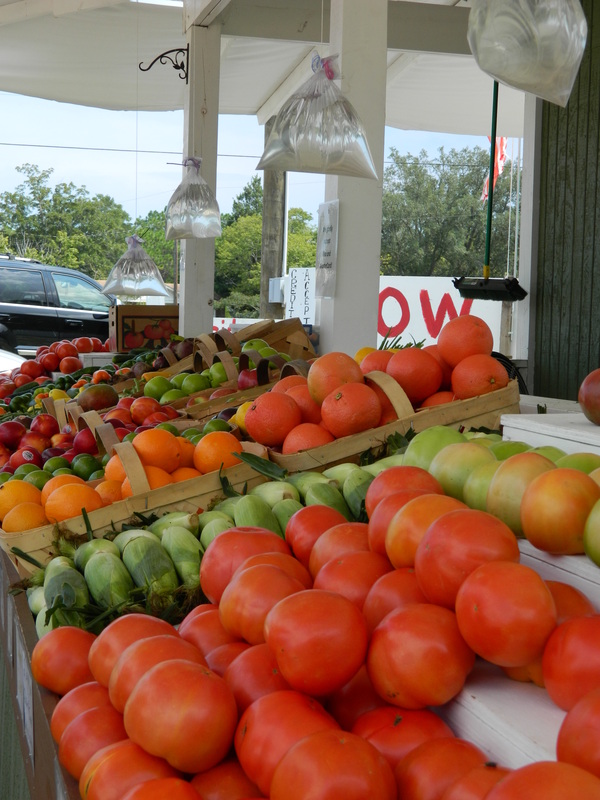 Check out Port City Produce and if you’re in these parts, stop by and say hey. Why mess with perfection? 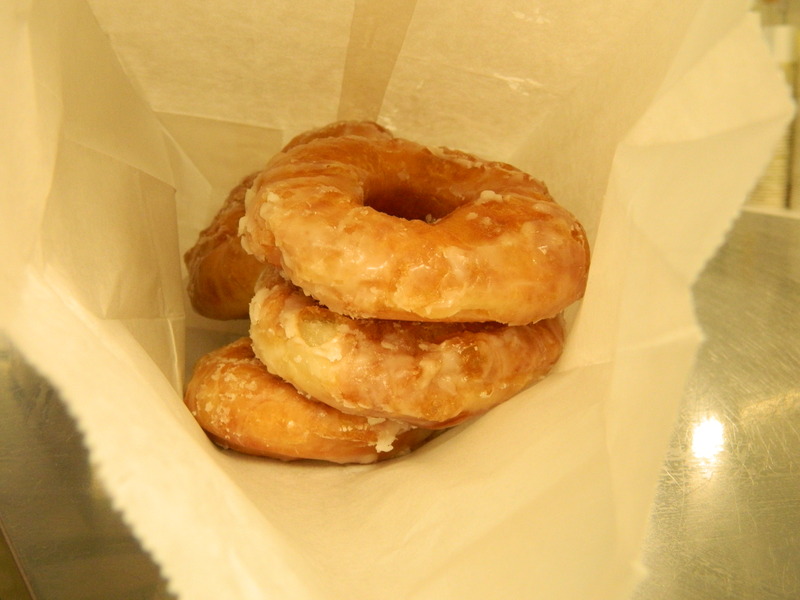 Why try to put sprinkles or frosting on something so perfect as a Britt’s donut? 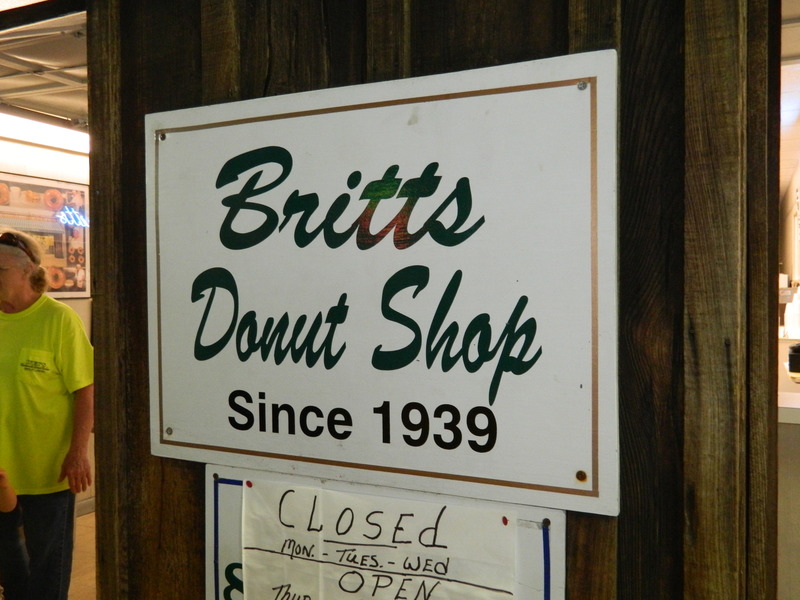 Since 1939, Britt’s has been on the Carolina Beach boardwalk, opening March to September only a few days a week, 8 a.m. to 11 p.m. For some folks, it’s a destination. For newcomers, they’ll think they’ve died and gone to heaven! The Nevins’ raised their daughter, Lynn, in the house down the block on Cape Fear Boulevard. 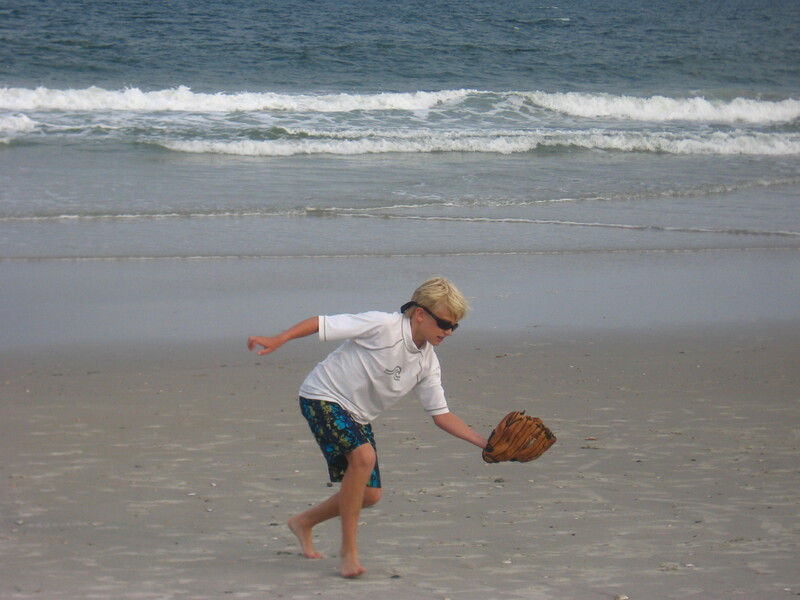 A friend of ours, Peggy Brummitt, a resident of Carolina Beach for 32 years, lives in the Nevins’ former home—a completely restored and charming beach-town house. We walked over last night for happy hour and got a tour of the place. 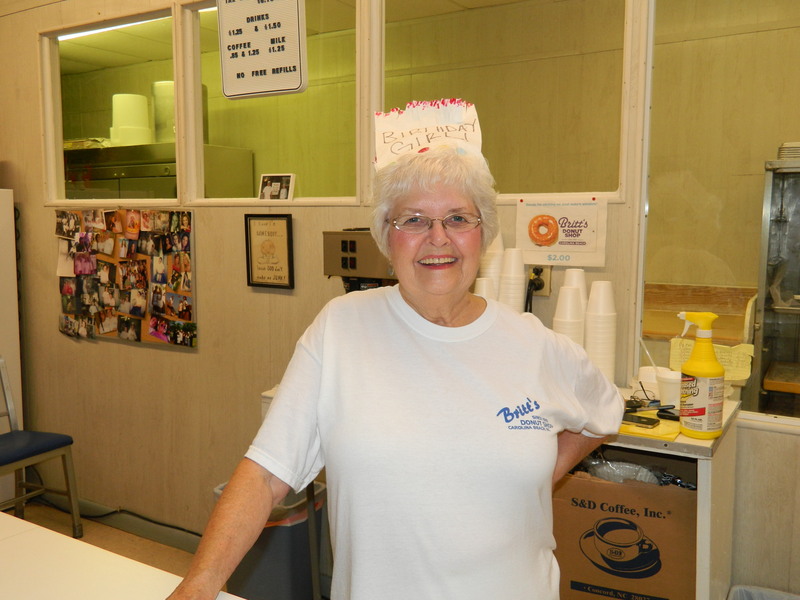 Owner Maxine Nevins wears the birthday hat husband Bobby made for her from a donut bag. Just follow your nose back to the boardwalk to Britt’s. The line is long but it moves fast. You can eat at the counter or take a bag with you. But, eat them hot, the only way. Bobby’s right: don’t mess with perfection.